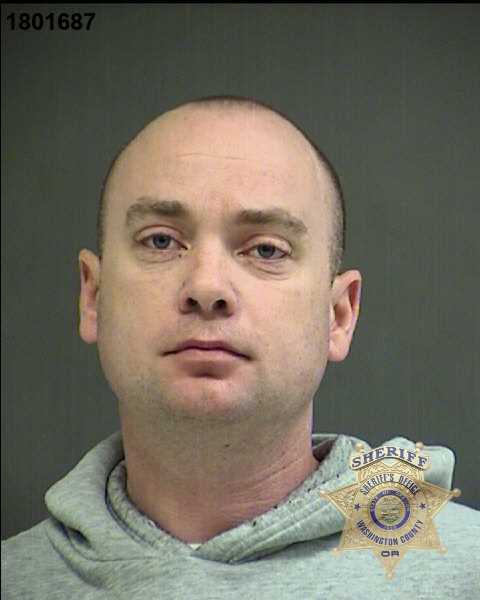 A former Tigard High School teacher and coach has been sentenced to two years in prison after pleading guilty to three counts of second-degree sexual abuse. On March 21, Judge Charles Bailey sentenced Marcus Dale Jolley following a case prosecuted by Washington County District Attorney Kevin Barton, according to a news release from Barton's office. Tigard Police began investigating Jolley in May of 2017 after a female student at Tigard High School reported to school staff that Jolley had inappropriately touched her. Jolley served as a teacher at the high school but left to take a position at Sherwood Middle School. The Tigard student decided to come forward after she heard Jolley was planning a possible return to Tigard High School. She indicated she was afraid for the safety of other female students and came forward to protect others. A second victim was also identified during the investigation. It was discovered she had an ongoing sexual relationship with Jolley while he was a teacher and she was a student. This abuse occurred in 2005 but was never reported to authorities. However, all three counts of second-degree sexual abuse were related to Jolley's relationship with that student. Jolley was employed at Tigard High between the 2005-06 and 2015-16 school years. He worked at no other schools in the district, a spokeswoman previously said. Jolley taught mainly language arts and reading. He was an instructional coordinator for two years (2012-13 and 2013-14). In addition, Jolley served in a variety of assistant coaching capacities for both softball and football; most recently as an assistant varsity football coach and junior varsity softball coach. He also coached freshman baseball in 2007-08. Meanwhile, he also worked as a ninth-grade language arts teacher at Southridge High School in Beaverton from 2001-2004. In February 2018, a spokesman for the Sherwood Police Department said he was not aware of any complaints or incidents reported to police related to Jolley during his time in Sherwood serving as associate principal at Sherwood Middle School in 2016. He left that position in June 2017. The Washington County District Attorney's Office praised the hard work of the Tigard Police on what proved to be a challenging case. The DA also pointed out that Jolley's crimes would not have been discovered had it not been for the perseverance and dedication of a Tigard school resource officer. Jolley will be transferred to the Oregon Department of Corrections to begin serving his sentence.